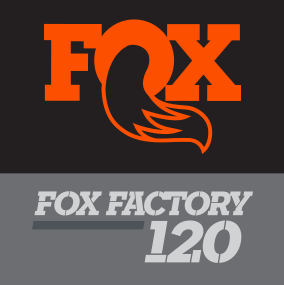 After a successful conclusion to the 2017 season, FOX Factory has once again partnered with Road Atlanta for the FOX Factory 120 race during Motul Petit Le Mans weekend, Oct. 10-13. FOX Factory signed on in late 2017 as an official track sponsor, securing entitlement rights to the Friday race of the Motul Petit Le Mans weekend and as an official partner of Motul Petit Le Mans. This Friday race is a 120-minute wheel-to-wheel showdown featuring the IMSA Continental Tire SportsCar Challenge, a feature series that supports the IMSA WeatherTech SportsCar Challenge. Again in 2018, the FOX Factory 120 entitlement partner will experience the benefits of being associated with such a prestigious and thrilling race, which is a fan-favorite during the larger Motul Petit Le Mans event. BRASELTON, Ga. (March 16, 2018) – A new owner’s and driver’s organization, The Driving Club at Road Atlanta, has moved on to the premises at the legendary Braselton race track to host a number of annual track days and other events for their exclusive membership. The Driving Club at Road Atlanta will take over the former driving school building, which is approximately 20,000+ square feet and will now house the entire club operation. Limited memberships to the club are currently available, providing access to all the club amenities. In addition to offering member-exclusive track days, the driving club will feature luxury vehicle storage for a select numbers of owners, exotic driving programs, corporate events and more. Members can also utilize a private entrance to the track, resident professional coaching, catered meals, trackside refreshments and end-of-day receptions. Full 2018 Schedule Confirmed —Tickets On Sale Now! This year’s spectator line-up is bigger and better than ever and we can’t wait to share each and every event with you, our fans! In addition to the season regulars on the annual calendar, SCCA, HSR, NASA and WERA, the spring season kicks off with a thrilling Trans Am weekend. 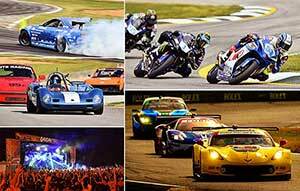 See big American muscle battle it out through the twelve twisty turns at the undulating Road Atlanta circuit.